The need to increase our following, friend list and likes on social media forums does not come from vanity or superficiality. The reductionist approach in this matter would take us back to the basics. Take into consideration at a pair of cockatiels, that function properly only within a pair – when one is taken away, the other one significantly crumbles in activities and in physical appearance, seems to wither. As it happens, most creatures – animals, birds or humans – aren’t made to function in solidarity. Humans being the focus of this particular situation, are particularly complex when it comes to their need of strong personal and virtual connection with other individuals. Most of us are of the opinion that communication and strong relationships with those around us are not only important for our most basic purpose – to procreate – but also for our spiritual and mental wellbeing, and most importantly, our constant growth. It is true that the energies of the humans around us are strong enough to impact us in our daily lives? Are they significant enough to play a part in shaping us into the humans we are on the road to becoming? Let’s take a look at the way humans survived through the earlier, simpler times. No one knows this better than – well, all of us, at some point in our lives, how dire proper communication is for us, for a incessant list of reasons – for maintenance and growth of relationships, for coming up with solutions to problems, to “lighten” the weight of emotional burdens by unloading, to understand and in turn, convince others of our perspectives, and many more. While in the past communication meant something entirely else – distance communication was next to impossible, and rare. A letter took weeks to get delivered and the response would take the same amount of time. However, most of it was done in person, with those around you. When we take a look at today’s fast paced world, we see an abundance of channels with which communication is not only possible, but insanely convenient. By a press of a button, you can have someone sitting across the globe with his/her attention directed towards you. Which brings us to the concept of the need to connect over social media as “superficial” and “vain”. We have all come across the claim that paying excessive heed to social media itself is vain and juvenile, and have at some point looked down at the supposedly childish desire to get more followers, more appreciation and love displayed for us on social media. As it happens, this is merely an extension of the basic predispositions that make us humans. Since we have always evolved and adapted to our surroundings, and have come a long way from the Stone Age to the digital age, one thing has managed to remain constant – our need for communication, love, companionship and appreciation. In earlier times, people hunted together, built together and moved together, and whereas times have changed by a large degree, we still feel the need to share our experiences with our dear ones, and to basically have strong connections in most things we do. Now that the need for companionship has been established as a basic need that’s lesser heard of, perhaps, than others, this has creeped into the new digital world we have entered. For spiritual healing, emotional load shedding, personal growth and overall peace of mind, we connect with people around us, in different ways, according to the relationship that we share with them. 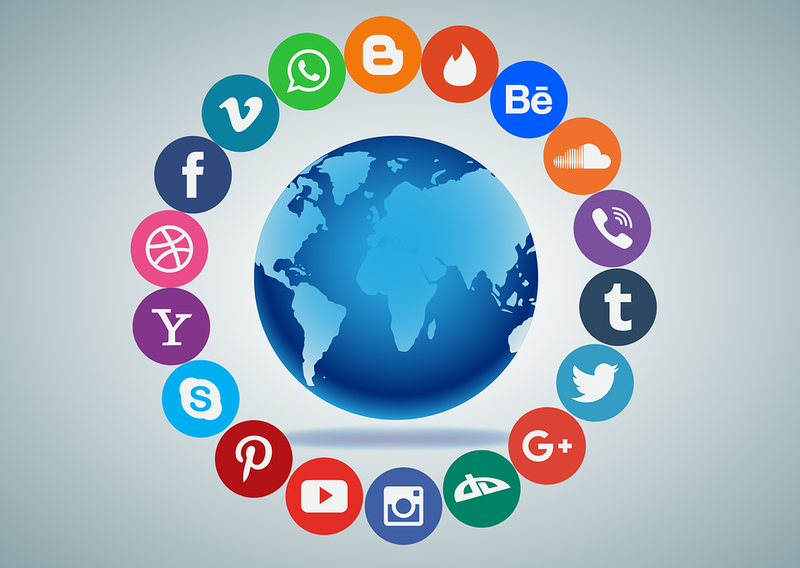 The Digital Era has prompted us to cater to this need unconsciously now at the means available to us – social media platforms. Facebook, Instagram, Twitter, Snapchat, etc. are designed in a way to help connect with people, strengthen our relationships and meet new people. The reason we post photos, posts and experiences on social media is to feed our need to connect, to communicate and create bonds with those around us.